Accessory Fanatic is a great website for trendy yet unique jewelry to help complete any look from your closet! The company was formed with the idea of keeping the world beautiful on eaccessory at a time. Everything is affordable so no one has to miss out on the latest trends simply because they don't have excessive amounts of money to drop on luxuries and jewelry! Originally, they were just a pop up shop on Facebook and now, they are a full blown company and still growing! They still have a pop up shop every Tuesday and Thursday though - at 8 pm Est! Check it out at http://www.facebook.com/accessoryfanatics! 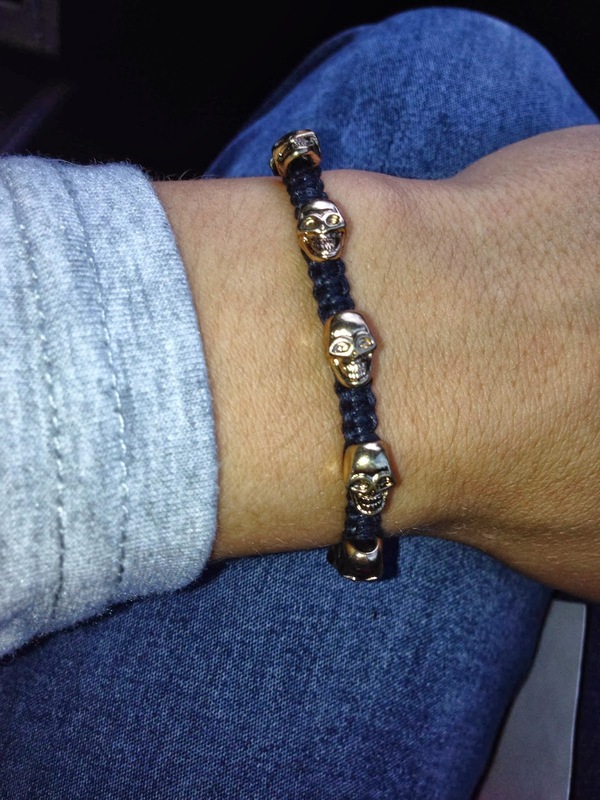 I received the Black Sensational Skull Bracelet. It's adjustable so it's always comfortable and it's easy to take on and off when I need to. I love the gorgeous gold skulls and the dainty size. It's perfect for layering and the color lets it go with pretty much anything! Dainty bracelets are great for layering your jewelry without bulking up your arm, especially if you have longer sleeves on. Yet the gold tone accents on this piece let it stand out more. It's easy to get on and off and I like that I've received so many compliments when wearing it! One winner will get a $25 gift certificate to Accessory Fanatic! I love the embossed skull clutch. I love the cobalt blue triangles necklace and the black and white elongated hexagon cuff!! The starfish ring is pretty cool.